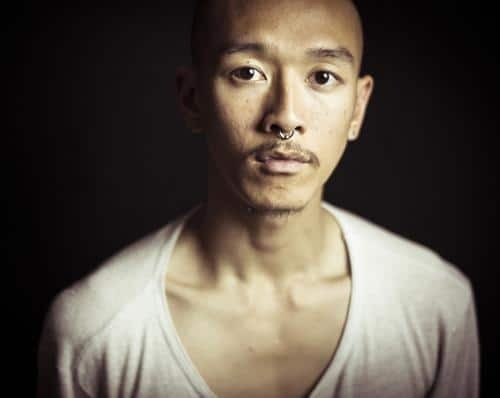 James Vu Anh Pham has performed in several productions with ChunkyMove: Rule of Thirds (2016), Depth of Field (2015), Complexity of Belonging (2014), AORTA (2013), - a Next Move production by Stephanie Lake, Embodiment1:1:1 (2013), 247 Days (2013) and An Act of Now (2012). In 2014, James performed gentle is the power, a solo piece choreographed by Anouk van Dijk as part of SOLO Festival of Dance in Brisbane. He has been studying Countertechnique intensively since 2012, and became a certified teacher in July 2014. James received the ‘Best Male Dancer in a Dance or Physical Theatre Work’ 2014 Helpmann Award for his performance in 247 Days and the Outstanding Performance by a Male Dancer 2014 Australian Dance Award for AORTA. Independantly, James has performed in Alice Lee Holland’s Tiny Little Tragedies (2012), professionally with Steps Youth Dance Company Fights & Flights (2014), Triumphs and Other Alternatives (2014) a new work by Ross McCormack’s Muscle Mouth and World of Wearable Art (2015) under the directorship of Mike Mizrahi and Marie Adams. As of 2016 James has relocated to Belgium to continue his career with Sidi Larbi Cherkaoui’s Eastman, performing in Babel 7.16 in the Palais des Papes for the Festival d’Avignon, guesting in Ravel with the Royal Ballet of Flanders, ICON in the GöteborgsOperans Danskompani, Les Indes Galantes in collaboration with the Bayerische Staatsoper Munich and Satyagraha at Theater Basel.